Will CCW Breakaways Pants shrink? Do I need to "up-size" my order? How do I select the proper size? Each CCW Breakaways pant is labeled TRUE-TO-SIZE. We do not use vanity sizing. Please visit this link for Proper Fit instructions. A shrink test is performed on each fabric lot we purchase. The shrinkage percentage is then entered into our patterns and adjusted. The patterns are cut and sewn into a finished garment. The finished garment is then professionally washed and dryed wherein the garment shrinks to our TRUE-TO-SIZE specification. The garment is then iron pressed and packaged for you. We do the shrinking calculations for you. It is one less thing for you to worry about. 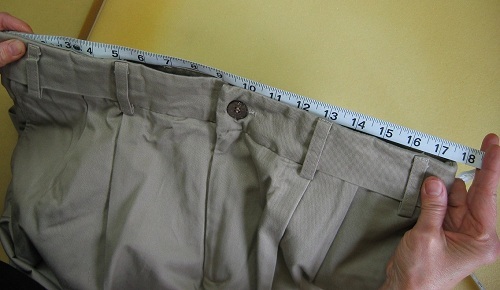 It is true that this process adds cost to the overall product, but it also ensures that you consistently get a high quality and fitting pant.